Many picture books are variations on themes that have been appeared frequently before: bedtime, new babies, first day of school. That's not to say that wonderful new books don't get written on familiar themes. After all, even in adult literature, it is said that there are only seven original plots. But A Very Big Bunny , by Marisabino Russo, prompted a bit of a "wow" moment. In thousands of picture books, I'm not sure I've seen one about what it feels like to be the tallest kid in the class - or the shortest. With charm, humor and pathos, Russo covers both in a way that youngsters who feel different in any way can relate to. Amelia is the very big bunny. Her parents try to convince her that standing out in a crowd is a good thing, but she'd much prefer to be average. The mean girl bunnies at school reinforce her feelings. They tell her that her feet are too big for hopscotch and that they can't turn the jump rope high enough for her. Amelia reacts by turning into a loner, hanging out by the fence, counting clouds, making dandelion chains. But one day, a new student comes to class. Susannah is as tiny as Amelia is big. The mean girls start in on her, too, They call her "shrimp" and "pipsqueak" and treat her in similar fashion on the playground. Her feet are too small for hopscotch and they can't turn the jump rope that low. Susannah, who has a big personality packed into her tiny body, joins Amelia at the fence. She's exuberant in her efforts to win the friendship of the lonely, timid big bunny. But Amelia resists day after day. Finally when picture class day (which Amelia dreads) approaches, Susannah comes up with a plan for the pair to be the flashiest bunnies in class. A fast friendship is cemented and Amelia learns that her parents were right, standing out in a crowd is fun, especially if you have someone standing with you. Russo's gouche paintings are whimsical, detailed, lively and packed with personality. 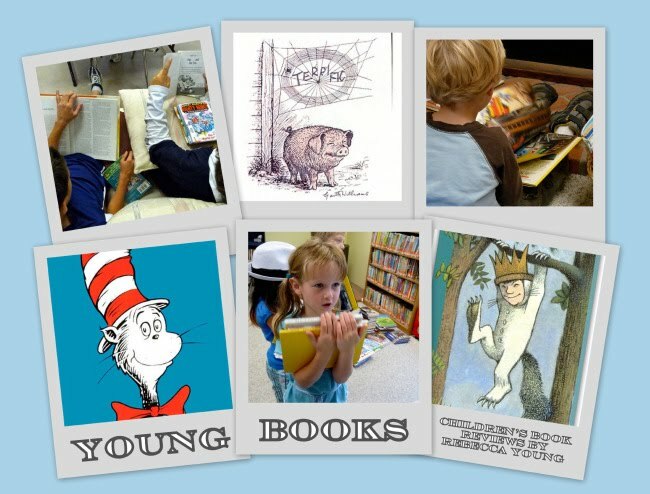 Rebecca Young has been reviewing children's books for more than 20 years. Her reviews have appeared in publications from coast-to-coast, including The Phoenix Gazette, Spokesman-Review, The News Tribune in Tacoma, Wash., The Chicago Sun-Times, The Pittsburgh Post-Gazette, The Sacramento Bee and The Kansas City Star. Rebecca also works as a school librarian at Seabury School, reading, recommending, discussing and de-griming books every week. Stay tuned for book news and book recommendations for children of all ages.